Though it's only March right now, the summer will be here before you know it. Spring cleaning is the perfect time to get several different household tasks done, and that includes air conditioner repair or installation. Let Montgomery Heating & Aire in Mountain Home, AR, take care of that for you! When the warmer months come around, you want to concentrate on having fun with your family and friends; you don't want to be left sweltering in a hot house! If your air conditioner has been on the fritz for the few mild days of spring, you can only imagine the struggle it'll have trying to keep up during the summer. It might be time to prepare and schedule a tune-up. Whether you don't have an air conditioner at all or your old one desperately needs to be replaced, it's important to stay cool in the summertime; high temperatures can be difficult on the body, especially where infants, children, and the elderly are concerned. 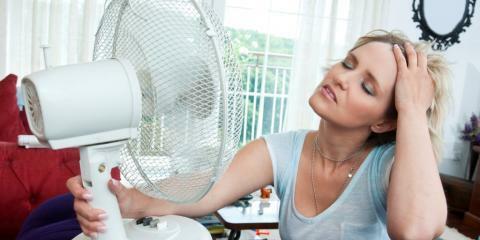 A functioning air conditioner is a necessity in your home to protect your loved ones from the heat. Whether you need air conditioner repair or installation, Montgomery Heating & Aire is the place that will get it done right. They offer numerous high-quality products for cooling down your home, from thermostats and air handlers to full package units. They are Trane Comfort Specialists with a vast amount of knowledge and expertise about Trane heating and air conditioner services, but they are equipped to perform air conditioner repair on all brands. Mountain Home residents are in good hands with Montgomery Heating & Aire, where they focus on top-notch workmanship to give you excellent service every time. Hire their team for prompt and professional AC service today by calling (870) 435-1501, or simply visit their website for more information.